Local horsewoman, Laura Parker, always aspired to have her own barn where she could care for horses with meticulous attention to detail and train them with a high level of communication. 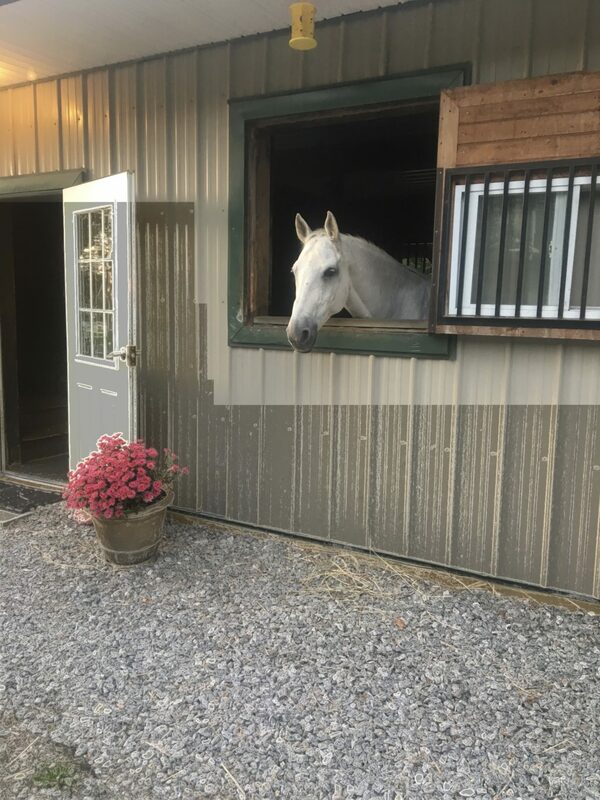 The horses at Inner Circle Farm enjoy the large windows.Four years ago, with the purchase of 54 acres in Patterson, New York, her dream came true. 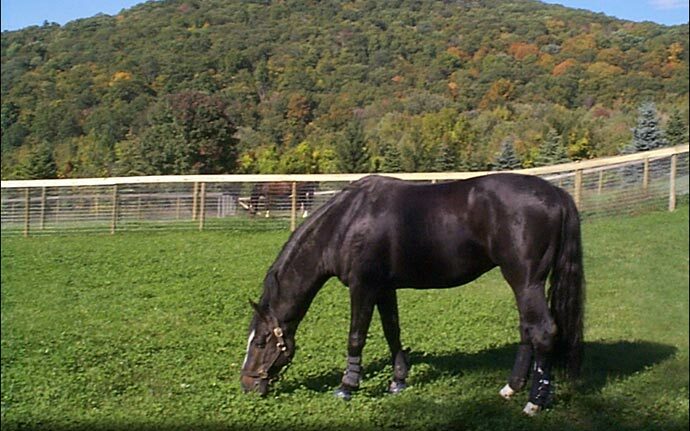 Her beautifUl facility, Inner Circle Farm, has become a haven for horses and the people who ride there. Parker has been in the horse business for the past 35 years-first as a groom and stable manager, later as an instructor and trainer. “Inner Circle Farm came from wanting a quiet, sanctuary type environment where competition was not the foremost goal but it was part of the learning and training process,” said Parker. “My intention, after many years of experience in stable management, was to create the healthiest, most comfortable place for my horses,” said Parker. She networked with Amish barn builders who came up from Lancaster, Pennsylvania to build the stable to her exact specifications. Set on a scenic hilltop, the stable houses 15 horses in large box stalls with windows so all the horses can hang their heads out (something all horses love). Due to its hilltop location, the barn has excellent ventilation, which keeps the horses very comfortable. The facilities include an indoor arena that’s blessed with natural light due to translucent sides, an outdoor arena with a beautiful view, and a dressage ring that is currently under construction. Grass-filled paddocks enable the horses to spend time outside grazing seven days a week and the farm’s wooded riding trails give horses and riders the opportunity to relax after their training sessions. 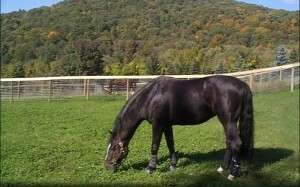 Parker takes pride in providing individualized care for each horse. “We have a wonderful network of professionals to provide optimal care for our horses,” said Parker. Parker integrates open-minded training and communication techniques, such as Sally Swift’s Centered Riding, John Lyon’s training methods and The Tellington Touch Equine Awareness Method into her classical dressage training. Sometimes a rider knows the correct aids but their body doesn’t quite cooperate. This is where the Alexander Technique can become extremely helpful. The Alexander Technique is a body awareness method that improves posture, balance and flexibility. It helps people reeducate their bodies in a way that releases physical tension. Parker studied the Alexander Technique for nine years, which has helped her as a teacher and a rider. Several of Parker’s students also study the Alexander Technique in order to complement and improve their riding. So much of good riding is about balance, feel and flexibility and any body awareness method that improves these characteristics will improve one’s riding. In addition to a busy riding and teaching schedule, Parker helps riders and horses to buy using her many contacts in the United States and Europe. Through her long-term association with the hunter/jumper professional DeeDee Cooke, she is able to offer a few really high quality hunters and dressage horses for sale. This holistic approach to training certainly works well for the horses at Inner Circle Farm. They are happy, willing performers who love their beautiful home. To learn more about Inner Circle Farm, visit its website at www.innercirclefarm.com.